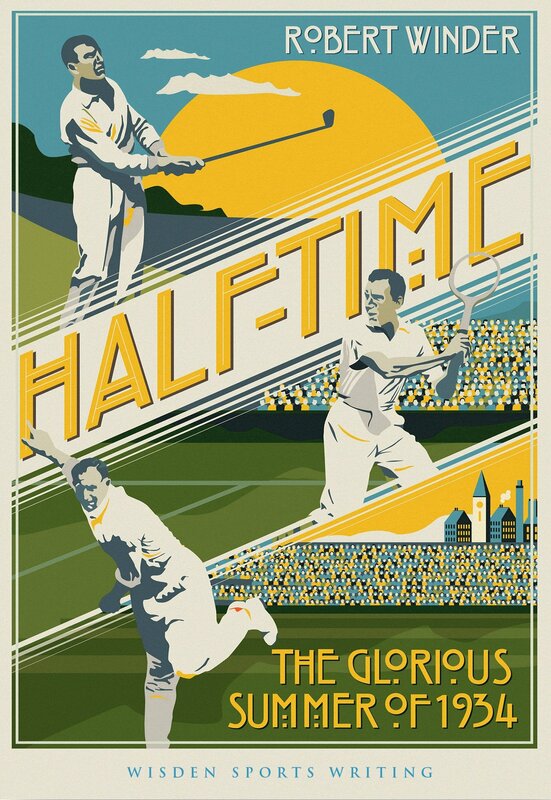 Half-Time by Robert Winder is a beautifully written tale of four British sporting successes in the space of a few days in the summer of 1934. This quartet are: Headley Verity taking 14 wickets in a day as England won the Lord’s Ashes test, Fred Perry and Dorothy Round winning the Wimbledon singles… and Henry Cotton winning The Open. The past eight Open Championships had all been won by Americans. Hopes for a home victory focussed on Cotton, a golf professional working in Belgium who came into the tournament in indifferent form. Cotton, a flamboyant figure who ruffled establishment feathers, provides plenty of material for a biographer. Cricket had been Cotton’s first love. 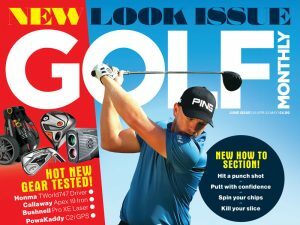 But he was banned from the school cricket team over a row about carrying the team kit and so turned to golf. Perry was a keen golfer and at Wimbledon when waiting his turn to play would go across the road to Wimbledon Park Golf Club and practise his putting. In 1934 Cotton was the club pro at Waterloo, where the course had been shaped by his fellow Brit Harry Colt, designer of such glories as Hoylake, St George’s Hill and Trevose. The 1934 Open Championship was at Royal St George’s, and twice that week Cotton broke the course record. Everyone had to pre-qualify with a round at Sandwich and one at Royal Cinque Ports. In his first qualifying round Cotton shot 66, smashing the Sandwich course record of 68. Both The Times and The Daily Telegraph described this round as ‘flawless to the point of tedium’. The Telegraph reported that several of his drives exceeded 300 yards, a staggering distance with the equipment of the time. Half his 66 shots had been putts. Then in the second round of the tournament itself he shot 65, to again break the course record. The Dunlop 65 golf ball was named in honour of this achievement. He was nine shots ahead of the field at the halfway point of the tournament. For the final day of the three tournament days two rounds would be played with the top 60 and ties playing on this day. Winder deftly weave the stories of these four sporting triumphs – although Round’s gets little of the narrative in comparison with the other three – together with the social and political history of the time. Half-Time by Robert Winder could have been a clunky book due to its three distinct strands is in fact a seamless delight due to the high skill of the author. Winder writes well and has an eye for tangential detail which studs the text with incidental facts and observations that bring colour and interest. The result is that Half-Time by Robert Winder is not only a narration of some sporting history, but an evocative picture of a society heading towards a devastating world war. Half Time: The Glorious Summer of 1934 by Robert Winder is published by Bloomsbury.